if:book and roundhousejournal.org will use Dr. Blaug’s timely work to spark discussion across formats: online, onscreen, on the wall and in person. Join our occupation of the Free Word Centre - join the debate! 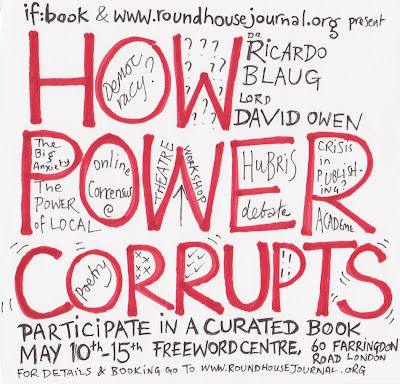 This event presents an inside-out examination of both the idea of corruption by power and Ricardo Blaug’s book itself. As we draw out the book’s ideas from their medium through discussions, theatre, art and writing, Dr. Blaug’s participation throughout the week also represents a unique opportunity to question an author as they elucidate their arguments. Throughout the week if:book’s Portable Bookshop will be selling a range of titles including a pamphlet by Dr. Blaug written for the event. Visual explorations of power and corruption will be spread across the walls, while films will be projected in the hall. 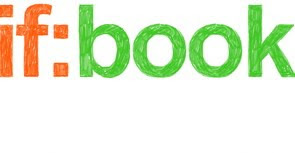 All events are free, except where indicated. However, places are limited, so please book ahead. 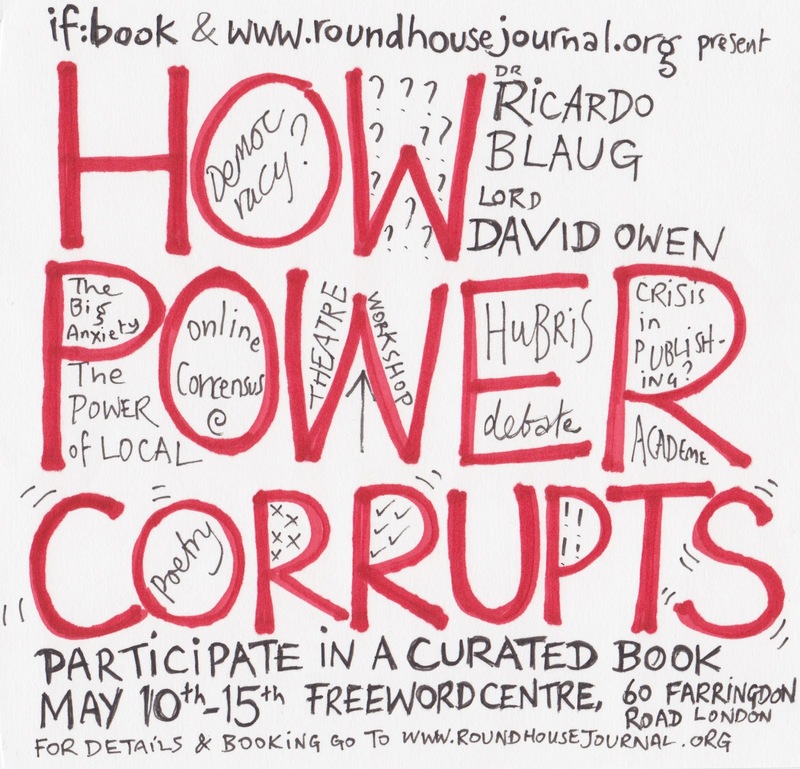 6.30pm: Lord David Owen and Dr Ricardo Blaug on political power and the corruption of citizenry. Having served as Foreign Secretary, founded the SDP, and negotiated for peace in the former Yugoslavia, Lord Owen is a major political figure. Once a practicing neurologist, in 2008 he published In Sickness and In Power, which coined the term ‘hubris syndrome’. A revised and updated paperback edition is due out shortly. Dr Ricardo Blaug, author of How Power Corrupts, is Reader in Democracy and Political Theory at the University of Westminster. Dr. Blaug has also worked as a psychiatric social worker and a public manager. Existing internet fora suffer hierarchy and corruption by power: who can be most scathing, who can post most frequently, who has had their blog referenced by mainstream media. The panel will consider: How can we challenge online power dynamics? What structures online forums and how can they be made accessible? How can deliberative and consensual ways of organsing practised online spread to institutions? 11am – 5pm : Come to the Free Word and share stories, anecdotes and reflections, listen to poets, view art work and add to the ongoing conversation. Most agree with Lord Acton that power corrupts and absolute power corrupts absolutely. It seems to apply to history’s cruel dictators, perhaps also to the behaviour of contemporary political and economic elites and even across the hierarchic organisations of our everyday lives. Yet few have looked closely at the mechanisms through which power corrupts, and how those afflicted remain unaware of their condition. A provocative exploration of the usually hidden, and little understood, psychological politics of organisations. An invited audience will discuss where academic publishing is today and to what extent it is in crisis. 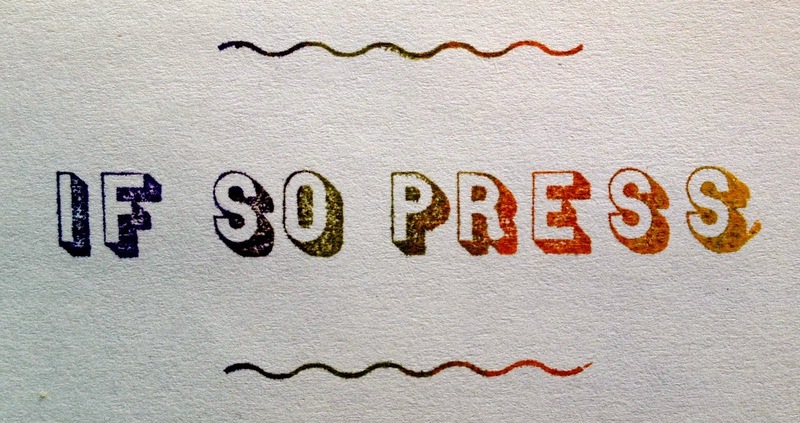 We will ask: What is the impact of the publishing process on the academic author? To what extent do publishing platforms dictate research priorities? What role should publishing play in unlocking academic knowledge? Is internet-enabled accessibility something to be celebrated or guarded against? This event will bring together community activists and literature organisations. Does the Big Society mean stripping away bureaucratic impediments to communities’ creativity and self-determination, or leaving the disadvantaged to sink or swim? How does it relate to libertarian community politics – and what opportunities do social media provide to disrupt power relations and create radical new forms of community publishing, that span the distance between the local and the global?